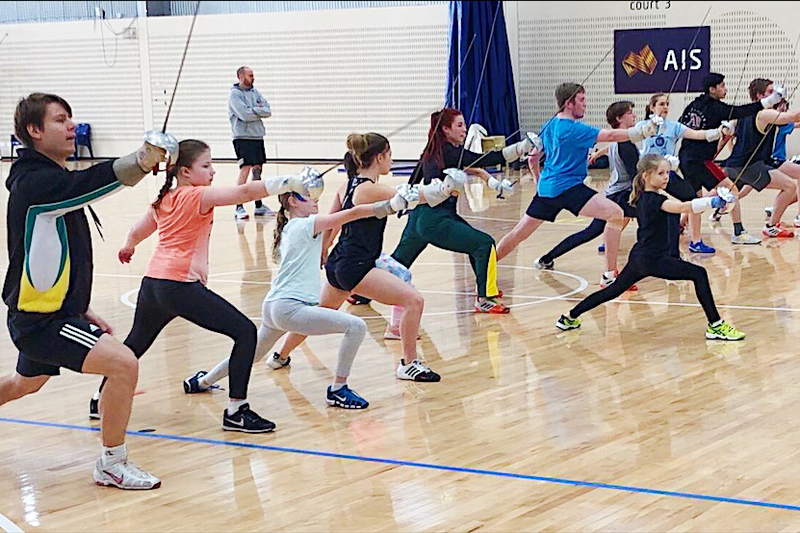 Talented U15 fencers may be invited to train and compete alongside the Australian Fencing Team (AFT) and Australian Fencing Squad (AFS) members at training camps held at the Australian Institute of Sport in Canberra and at the fencer's home state training squad. U/15 fencers, including U/13 fencers. The program allows for five places per weapon per gender and uses the U/15 and Cadet Australian Championships as the benchmarks for invitations. Fencers are able to compete in all Australian Fencing Circuit (AFC) events up to and including Open Australian Fencing Championships. AFC events and the Open Australian Fencing Championship are otherwise not available to U13 fencers. TFP members will be identified by a dedicated AFF TFP Tee Shirt. There is no cost involved other than standard expenses involved in entry to competitions or registration for camps, with associated travel and accommodation costs. It is not compulsory to attend all events, though participation in national competitions and AFT/AFS training camps are recommended as part the growth and development of young athletes. There will be an annual round of invitations after the U/15 and Cadet Australian Championships for vacant places in the program. If a fencer in the TFP is selected to the AFT / AFS then their place in the program will be offered to the next eligible fencer, likewise if a fencer ages or opts out of the program.